Principal’s Student Advisory Council – N. Kristina Leyva, Ed. 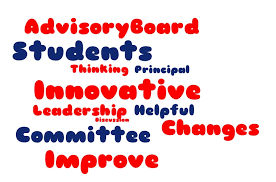 S.
The Principal’s Student Advisory Council (PSAC) seeks to establish a strong relationship between students and administration. The PSAC is comprised of students in grades 5-8 and works from a student’s perspective to communicate and facilitate action towards solving school issues. Members of the Principal’s Student Advisory Council represent the student body’s voice to the principal. These members are also student ambassadors for the school. The Council meets with the principal to provide their input on school issues. Students also participate in school-wide events held throughout the year. Students are asked to commit to being a member for one year. The Council celebrates student diversity, and all students in grades 5-8 who have not previously been on the Council are welcome and encouraged to apply. Just fill out an application and let us know what makes you the special person you are. Applications are available at the beginning of each school year and are due back the first week of September.